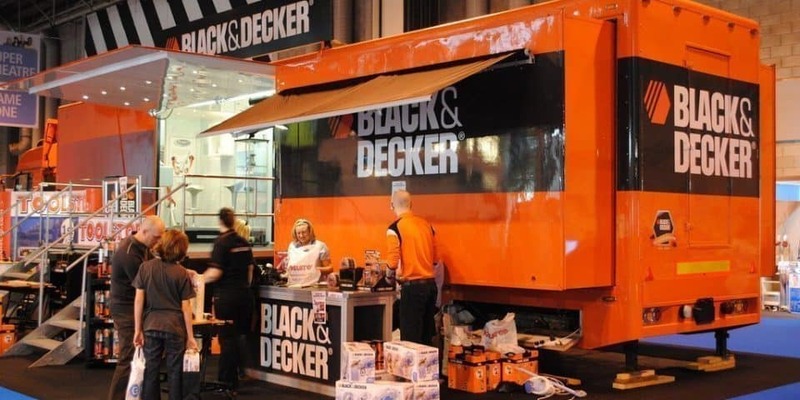 Black and Decker is a well-known supplier of power tools, lawn and garden tools, home cleaning tools, small appliances, batteries and accessories. Most of us know someone who has at least one Black & Decker branded machine, whether it be a toaster, drill or lawn mower. It’s a big-name brand that can be found in most home improvement stores. This allows the brand to not only become popular, but also easy to get your hands on. That’s important for a business who seeks growth. Finding the right tools for the job should be easy so that you can spend most of your time focusing on the task rather than searching multiple stores for what you need. For Black and Decker, providing that convenience, as well as high-quality products, is the name of the game. The company has been a leader in environment-friendly sustainability for the past 3 years. They have made great strides in making sure their products aren’t damaging the environment. 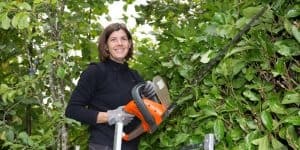 Black & Decker lawn and garden equipment is all run by electricity, meaning there is no need for gasoline or other fuels that may not be environmentally sound. They also carry chemical-free steam mops, which are not only good for the environment, but also for people and their families because they get the floor clean without the use of harsh chemicals. Finally, Black and Decker is also considered to be a leader in terms of battery recycling. Black and Decker began in 1910 with the first machine shop opened in Maryland by Duncan Black and Alonzo Decker. By 1917, they were opening their first manufacturing plant. Thirty-four years down the road, they had already made their millionth drill. Ten years after that, they created the world’s first cordless drill, adding a whole new realm of possibility to the market. Not long after that, in 1962, they developed the world’s first cordless trimmer. The concept of a cordless tool added multitudes to what people could now do with these devices. Being able to carry them around to use wherever they needed rather than needing to stay near an outlet made a world of difference. In 1963, Black and Decker created a very special tool made for use in outer space. That alone is a huge achievement for any company to experience. However, for this company it wasn’t enough. Just a few years later they developed a special drill made for use on the moon. That publicity is likely to draw the eyes of just about anyone, and most definitely played a part in the exponential growth of the company up until today. In 2010, Black and Decker celebrated 100 years since it first opened its doors, making the company around 107 years old today. Currently, they are manufacturers of a wide variety of tools including power tools such as drills, saws and tool sets. 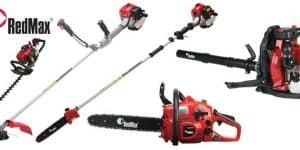 They also make lawn and garden equipment such as lawn mowers, string trimmers, leaf blowers and sweepers. Black and Decker creates more than indoor and outdoor tools, such as household cleaning machines such as vacuums of different variations including robotic vacuums. They also make small appliances like coffee and tea makers, toasters and other cooking appliances. Since the day the company was created, Black & Decker has grown immensely and moved into many well-known household products. You’d likely have a difficult time finding anyone who didn’t have at least one Black and Decker tool or appliance. 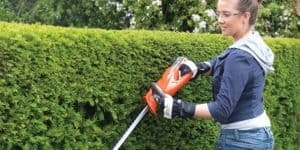 We researched the most popular Black and Decker hedge trimmers of this moment. These are the top-selling models from the company, and most likely will be a great choice for you as well. This trimmer has a 40% vibration reduction compared to the single-action blade trimmer. Its hardened steel blades are capable of cutting through branches that are up to 3/4” thick. The rear handle on this model rotates a full 180° so that you can always find the ideal hand position. 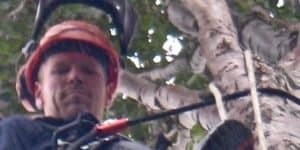 It also comes with an extended reach design that will allow you to trim branches that are at a higher level with very little effort. A built-in cord retainer helps keep the cord stored safely when it isn’t in use, and the lock-off switch ensures that the device is never accidentally turned on. This little trimmer is perfect for the small jobs around your home. It’s 16” blades are perfect for trimming branches up to 5/8” thick. It’s lightweight but still powerful with its 3.2-amp motor. Like the other trimmers listed here, the blades are dual-action. They also come pre-hardened and resistant to rust, so your blades will stay looking like new for as long as possible. It also comes with a lock-off switch so that the machine isn’t turned on by mistake, and a cord retention system to keep it from turning off when you are using it. This model also comes with a T-shaped handle in order to provide the best support as you work. This trimmer comes with 22” dual-action blades made to allow you to get the best possible cut. 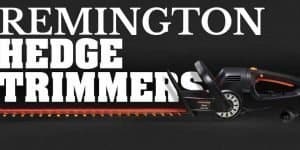 Because of the design of this hedge trimmer, you’re able to get that cut with 40% less vibration than many other corded trimmers. That’s quite the benefit, considering how annoying those vibrations can be. This model has a 3/4” cutting capacity, meaning you’ll have little trouble even with the bigger jobs. The blades on this trimmer are made from pre-hardened, rust resistant materials, so you won’t have to worry about them growing weak if the blades themselves get a little wet. The 20-volt lithium-ion battery allows this trimmer to have a higher run time, giving you longer to work in between charges. 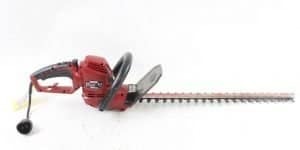 The 22” dual-action blades are capable of cutting branches that are up to 3/4” thick. This model also has a wraparound front handle to allow you the most ideal grip in any position. This trimmer has a battery that can be charged up to 40 volts. It has a power-drive transmission that allows it to cut up to a 3/4” capacity. With the battery at full charge, you can work for up to 6,000 square feet before needing to charge up the trimmer again. The wraparound front handle with a soft grip allows you to stay comfortable during use. This model also comes with a charge indicator that lets you know how full the battery is as you are working. Hi, I’m Timothy. For many years I have been running my commercial and residential landscaping business. During that time I learned a lot. Now I want to share this knowledge with other people, and this website is the perfect place for it. Read more. 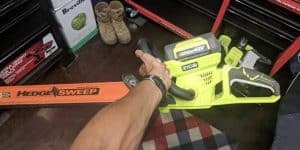 Why Is My Hedge Trimmer Not Working / Not Cutting / Smoking?